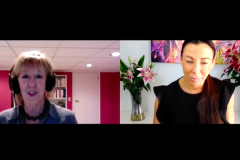 Susan Scheinbaum is the CEO of The Functional Medicine Academy and I was privileged to to interview her about her own journey and the future of global health care. A truly enlightening interview. Please SUBSCRIBE to my show and share your feedback!